I will complete my third year as a postdoctoral fellow at the University of Colorado School of Medicine on February 1st, 2018. My primary interest as a researcher is to accelerate biological discovery using computational models of biological systems. I am specifically interested in improving cancer treatment with the use of fewer or better-targeted animal models and clinical trials. 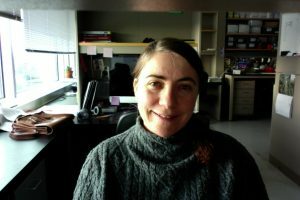 I use two- and three-dimensional computer models to help understand drug penetration in tumors and to identify spatiotemporal events that allow cancer cell survival during chemotherapy. I am also training in bioinformatics to seek genomic targets that are involved in these spatiotemporally relevant events in tumors. Finally, I have an interest in exploring potential bacterial etiologies of cancer, using genomics. 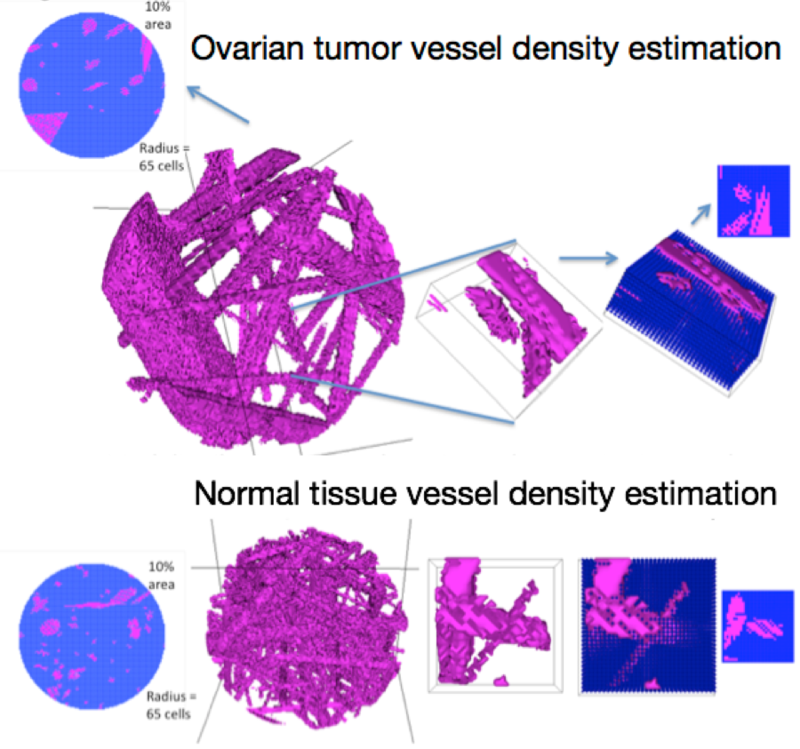 Many mathematical and computational tools have been used to study drug delivery in tumors, including mixture models (continuous or analytical models), and discrete models where cells are unique entities. Continuous models are more common because they are faster to compute, the chain of cause and effect is easy to map into equations, and details of spatial scale can be left out. The discrete approach is usually reserved for situations where spatial patterns of drug delivery are informative, since calculations are completed for every cell over time, causing slow computation. In my doctoral work and postdoctoral fellowship, I have used discrete models to show how penetration and accumulation of drugs are affected by blood vessel conformations, direction of delivery (outside of a tumor versus from the vessels), heterogeneous drug resistance in the cell population, and non-synchronized cell cycles. These models predicted better delivery by abdominal injection than by intravenous injection (for tumors in the abdominal cavity), which was verified in mouse models (Kanigel Winner, Steinkamp, et al. Cancer Research, 20161). A later model predicted poor outcome for heterogeneously drug-resistant tumors in metastasized bladder cancer under the standard chemotherapy regimen (Kanigel Winner, Costello. Pacific Symposium on Biocomputing, 20162). Finally, the model we are preparing for publication predicts better delivery of therapeutic antibodies by normal vascular anatomy than by tumor vascular anatomy. Modeling drug delivery via normal vasculature vs. tumor vasculature. Computer-generated vascular meshes were initialized within a sphere of tissue, and then a small block sampled and used for drug delivery simulation. Spatial modeling provides a narrative of phenotypic, cellular-scale events over time (for instance, how individual cells in a small tumor grow or die during a 4-month course of chemotherapy). Bioinformatics is a complementary approach that can reveal druggable molecular targets that might drive processes with predictable, potentially exploitable patterns that have been demonstrated in a spatial model. One somewhat new and powerful bioinformatics-based experiment is to use next-generation sequencing to look at differential gene expression between a control and an experimental state (RNA-seq), such as drug treatment versus non-treatment, different tumor sites, or different tumor ages. I have learned differential expression analysis methods in collaboration with experimentalists in a local bladder cancer lab. I would like to use these skills on bladder cancer data from my current lab to find drugs that may increase kill of cell populations having a majority of cells of a similar age, in the same part of the cell cycle, as predicted by my spatial models. As part of acquiring bioinformatics skills, I have also learned some longitudinal clinical data analysis (Guinney et al., The Lancet Oncology, 20163; Seyednasrollah et al., Journal of Clinical Oncology Clinical Cancer Informatics, 20174). Finally, as a pure genomics project, I am interested in pathogenic causes of cancer. Viruses are among the top five most common causes of cancer worldwide. Multi-cellular parasites are also causal in some cancers, such as bladder. Schistosomiasis is in fact the primary cause of bladder cancer in developing countries. Finally, bacteria are the cause of some cancers in animals. A small but solid amount of preliminary evidence suggests that bacterial genome insertions are common in human cancer samples, and potentially causal in stomach cancer. However, teasing tissue-endemic bacterial signatures out from lab-based bacterial contamination is challenging. I have constructed an analysis pipeline to look for bacterial signatures in whole genome bladder cancer samples, and have preliminary data for this disease; however, more analysis is needed of the tumor samples, and control samples from healthy individuals need to be processed with the pipeline. Kanigel Winner, K. R., Costello, J. C., Winner, K. R. K. & Costello, J. C. A SPATIOTEMPORAL MODEL TO SIMULATE CHEMOTHERAPY REGIMENS FOR HETEROGENEOUS BLADDER CANCER METASTASES TO THE LUNG. Pac. Symp. Biocomput. 22, 611–622 (2016). View Kim’s Google Scholar Profile here.